Can machines become more intelligent than humans? While we don't know yet, the experts are split. Read more about this topic and others in this week's Inbound Marketing Highlights. 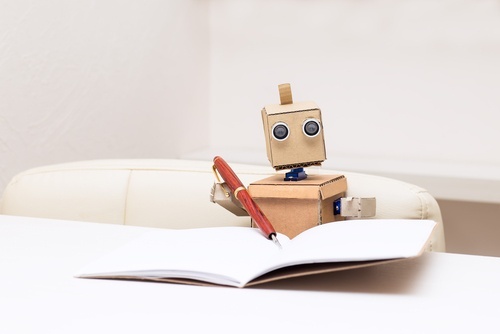 There’s no denying that AI is changing marketing for the better. However, with the newness and uncertainty of it's future, many public figures have spoken out about it being a threat. With great scientific minds like Elon Musk and Stephen Hawking warning us about it's dangerous potential, former Google CEO Eric Schmidt offers a very different opinion. While Schmidt understands AI will make machines smarter, he also claims it will benefit and make every human smarter as well. And while Schmidt acknowledges that there are risks and potential misuse, he says they are outweighed by the benefits. More changes are coming to Facebook! With Facebook’s story feature growing to 150 million users, the social network is now trying to make a profit off of them. Facebook Stories is already testing ads in U.S., Mexico, and Brazil. The 5 to 15 second video will be skippable with a CTA button. Advertisers will also be allowed to move their Instagram Stories ads to Facebook. Lastly, Facebook has also added the ability to shoot a 360 degree photo and post it to Stories, without even using a special camera. The GDPR is here! If you are a marketer or business owner, chances are you’ve been preparing for these new data privacy rules for months now, and with good reason. Companies found in breach of GDPR can get fined up to €20 million, or 4 percent of their annual revenue, whichever is higher. To help implement these changes, compliance solutions have been popping up and big data-based companies have been offering their plans. This past Friday, May 25th, the GDPR became enforceable, but this is just the beginning. We all know live videos are good for SEO but did you know it can generate 600% more interactions than pre-recorded videos. In fact, live videos can help you beat Facebook's tricky new algorithm with 78% of people watching live videos regularly. Live video on YouTube can also have a similar SEO affect, with Google promoting it heavily in relevant searches. Social networks and search engines love live video because it brings their users new information while the high engagement keeps people on the site for a long time. This all equals more ad views and ad revenue. While there are plenty of other platforms available for live video, experts recommend sticking to Facebook or YouTube for maximum SEO impact. It used to be easy to tell when bots were interfering with your web traffic. Bots used to live exclusively in data centers, performing the same actions at the exact same time. Today, bots are much harder to spot because they’re disguised to look like humans. Around 75% of bots live on residential computers and use real IP addresses. They commit ad fraud by copying their host’s purchase and browser history, even mimicking strokes and mouse movements. Although bots these days are difficult to detect, there are warning signs you could be aware of. Read them here.